If you're enrolled in any college courses, student version of Amazon Prime might be worth exploring. From Amazon Family to Prime Pantry to AmazonFresh, there are more than a few loyalty programs out there designed to attract (and retain) Prime members. Hidden in that list is Prime Student, which comes with some major benefits for budget-conscious college students. Is it worth it? We'll let you be the judge. Here's everything you need to know about the student spin on Amazon Prime. Is actively enrolled in at least one course in the United States, Puerto Rico or Washington D.C.
Students who meet the qualifications get all the perks of Prime for half the price --$49 per year instead of the regular $99. If you're ordering new textbooks and school supplies every semester or stocking up your dorm room, the unlimited free two-day shipping could pay for itself pretty quickly. The program also boasts exclusive member-only deals. More on that in a minute. 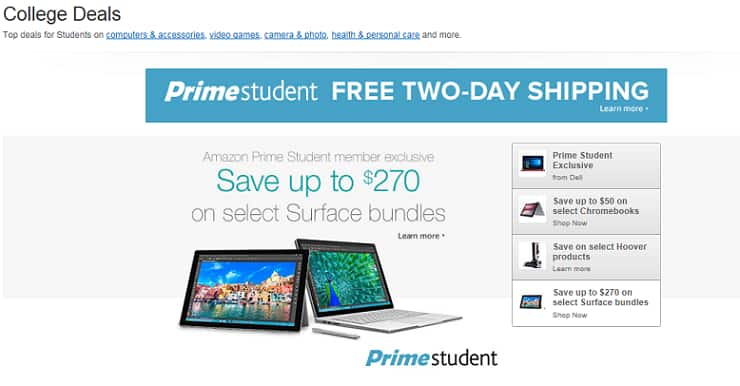 While regular Prime memberships come with a 30-day free trial period, Prime Student doles out half a year at no cost. Once the six-month trial expires, the $49 annual fee will be applied. You'll just need to be mindful of when your membership ends, which either happens when you graduate OR when you complete your fourth year of Prime Student -- whichever comes first. After that, your membership will automatically renew as a full-priced Amazon Prime subscription. One notable aspect of the trial period is that you're ineligible for Prime Music during that time, so you'll have to wait until you start paying that $49 annual fee before you get access to Amazon's music library. If you're planning on taking out a student loan through Wells Fargo, you may want to perk up. The bank teamed up with Amazon, and recently announced a joint partnership that shells out a 0.50% interest rate reduction to Prime Student members who apply for a Wells Fargo private student loan. Plus, you can combine this reduction with any other interest rate reductions offered through various Wells Fargo programs. Access to Prime Video is easily one of the biggest perks of joining the program. With it, you can stream thousands of TV shows and movies on virtually any device. What's more, Amazon also offers 30 subscription add-ons, including Showtime and Starz, at discounted prices. Students interested in cutting the cable cord might be in for some extra savings here. 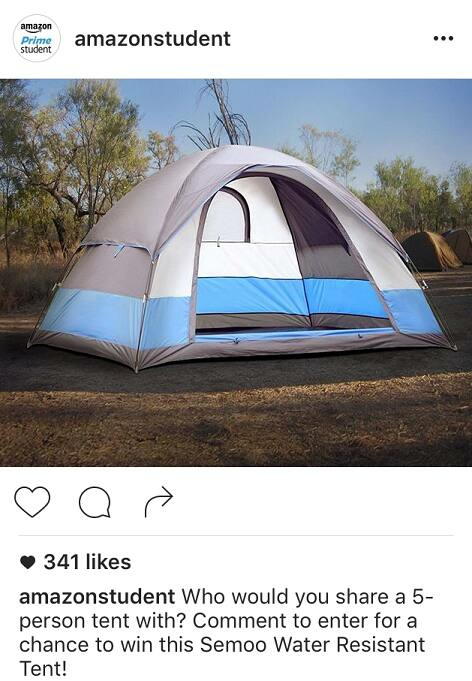 A Prime Student membership will also buy you limitless space in Amazon Photo. This little extra means secure photo storage via Amazon Drive. Your pictures will backup automatically and are easily accessible via your phone, tablet or computer. If you're constantly getting alerts that you're running out of space on your phone, this perk could be a game changer. This perk isn't all that huge, but free money is always worth mentioning. 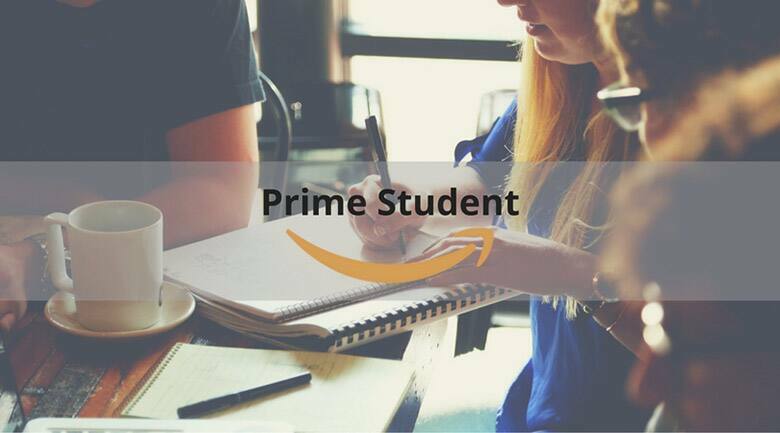 If you refer a friend to sign up for a Prime Student trial, you'll get a $5 credit in your Amazon account. Just be sure to refer them using one of these three approved methods: sharing a personal invitation link on social media, inviting them on Facebook, or using Amazon's invitation email form. Technically, you're not allowed to share your Prime Student benefits with anyone else, but we came across a little loophole. According to Amazon, if you're making the switch from regular Prime to Prime Student -- and you're the primary membership holder -- then you can continue sharing your benefits with people you're already sharing with. So what do you think; is Prime Student worth it? Let us know in the comments below! For more insider hacks on maximizing your regular Prime benefits, check out this story.